One of my sons’ favorite hobbies is playing guitar, and over the past few years that he’s been playing, he’s amassed quite a collection. I asked him to pick out one of his favorites and play a tune for me as the last bit of sun set for the day. Unfortunately, he doesn’t name his guitars like his sisters do, so I’ll simply refer to it as Ibanez. Below are three shots of his Ibanez bass guitar. What do you think? Do you have a favorite below? Ibanez Photo #1. 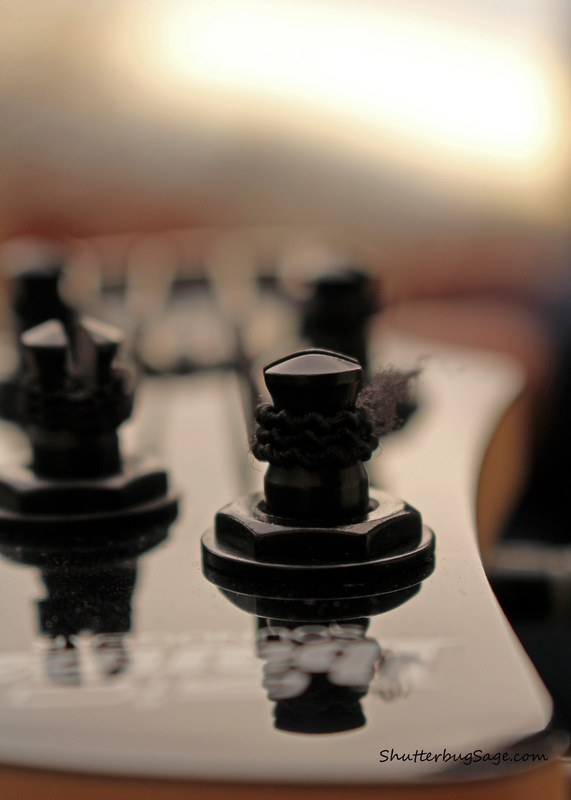 A close up of the tuning pegs. Ibanez Photo #2. Looking down the length of the bass guitar. I know you’re not going to believe this, but it’s not #2 this time. I love them all!! Thanks for stopping by EVERY day and always encouraging me, Loony!